– Every now and then, the webcomic stalwart Penny Arcade takes a break from topical ruminations on video games – a process it’s creators call “crapping out a JPEG” – to explore some new ideas and see which resonate. Last time this happened, a page was created that described an intergalactic army brat who was sad at being dragged across the universe at the whim of his parents. 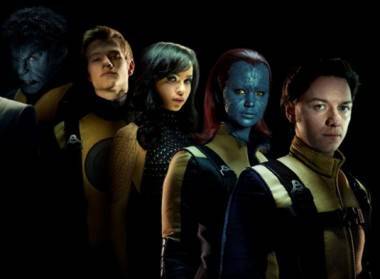 Making friends is hard when everyone in your class is a Martian. That page has now been optioned by Paramount to follow up Gore Verbinski’s Rango as their next animated money printer. 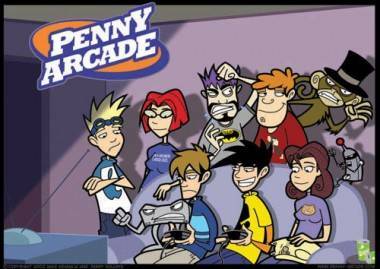 Penny Arcade principals Jerry Holkins and Mike Krahulik have turned to close personal friend and Book of Eli screenwriter Gary Whitta to pen a screenplay. – With its release set for June 17, the Green Lantern movie is being previewed by Warner Bros. in the form of eight short clips. Combined with all the trailers and other clips, I figure someone talented with iMovie could probably cut together the whole film at this point. 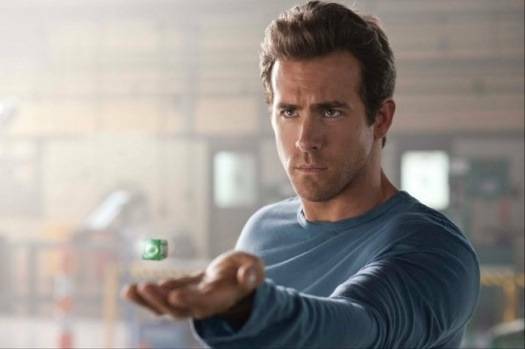 Ryan Reynolds in Green Lantern (2011). – Wesley Snipes might be going to jail for his tax troubles, but a little thing like the law never stops Japan. An official site for the Blade anime has gone live, with a new trailer to boot. The site is in Japanese, but the right facing “Play” arrow is universal. – The Electronic Entertainment Expo (E3) is in full swing this week, and part of that means new trailers for the annual Spider-Man video game excursion. This one is a time-bending tale that thankfully involves the ’90s cast-off future version of Spidey, Spider-Man 2099. Web-slinging is guaranteed in this game coming to every console under the sun this fall. This entry was posted in Features, the latest and tagged comic books, Movies and TV, news, superheroes, videogames. Bookmark the permalink.